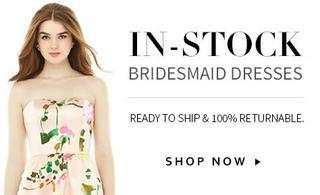 Fashioned from elegant renaissance satin, this full-length sleeveless bridesmaid dress balances style with subtlety. Enjoy a circle skirt and a narrow silver beaded sash at its natural waist. 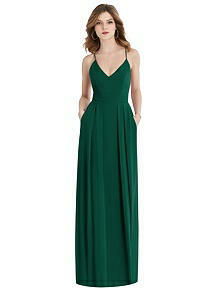 Each complements a v-neckline and a charming string back waist bow.